LOS ANGELES -- A trial will be held next month to determine whether Donald Sterling, who opposes his estranged wife's planned sale of the Los Angeles Clippers, was properly removed as an administrator for the family trust that owns the team. An attorney for Shelly Sterling went to probate court Wednesday to request a trial to confirm that as sole trustee she can proceed with the $2 billion sale to former Microsoft CEO Steve Ballmer. Her lawyer, Pierce O'Donnell, said three doctors have filed reports saying Donald Sterling lacks the mental capacity to be a trustee. "A PT scan, a CAT scan and a personal examination were done" to render Sterling as unfit under the trust, O'Donnell said, according to CBS Los Angeles. Last month, Donald Sterling's attorney told CBS News the diagnosis of the 80-year-old being mentally incapacitated is a "vast overstatement" and that Sterling only has a "modest mental impairment" and is "slowing down." The trial, which was granted exceptionally quickly, will begin July 7 and last four days. The deadline for the sale is July 15, which is also the date the NBA Board of Governors is scheduled to vote on whether it will approve the sale. Donald Sterling's lawyer, Bobby Samini, left the courthouse without comment after a clerk announced the trial schedule. Neither Sterling was present. "I just want to resolve this as quickly as possible," NBA Commissioner Adam Silver told The Associated Press in Miami on Wednesday, when he appeared at an NBA Cares event. Donald Sterling said in a statement Tuesday that he's not just fighting for the Clippers but taking a stand against the NBA, which he called "a band of hypocrites and bullies" and "despicable monsters" who want "to take away our privacy rights and freedom of speech." Donald Sterling is suing the league for $1 billion. The league has sought to ban him for life since racist remarks emerged in a recording in April. "As I've said previously, if Donald chooses to litigate against us, so be it," Silver said. "So it's going to take longer than we had hoped for this transaction to close, but it'll get done ultimately. It's just a question of time." Shelly Sterling recently brokered what would be a record-breaking $2 billion deal with Ballmer to sell the team. Ballmer's attorney, Adam Streisand, said he was pleased with the trial schedule. "We're extremely encouraged that the court understands the need for an expedited hearing. We're confident that after the trial the court is going to bless this transaction," Streisand said. The aim of Shelly Sterling's court bid is to have a judge confirm provisions of The Sterling Family Trust to ensure the Ballmer sale moves forward without a hitch. 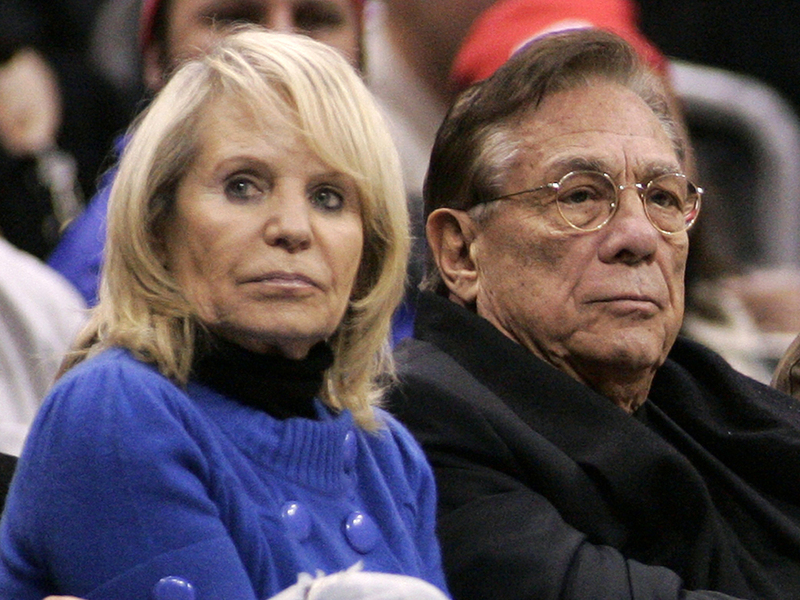 Donald Sterling has the right to present his side at any hearing and appeal any decision. His attorney Maxwell Blecher said Tuesday that a representative for Donald Sterling would be at any hearing, and that the main issue to be decided is whether Donald Sterling is mentally competent. "There isn't the slightest evidence he's incapable of managing his affairs," Blecher said. He said the next step is to have other doctors evaluate Donald Sterling. "I have no doubt at the end of the day the court is not going to say he's incompetent," Blecher said. "That's a very high burden in the probate court - otherwise people would get their sisters and wife and brother-in-laws and everybody declared incompetent."